NASHVILLE, Tenn.—Kicking-off a string of major events this spring—which will see the GRAMMY®-nominated, Platinum®-selling mega group return to the big screen as well as to their own headlining tour, among other appearances—Newsboys bow their highly anticipated FairTrade Services debut, Love Riot, today. Love Riot was produced by Mark Needham (Imagine Dragons, The Killers); and Zach Hall (Five Knives); as well as GRAMMY® winners Seth Mosley (TobyMac, for KING & COUNTRY) and Mike “X” O’Connor for Full Circle Music. A highly sought-after producer and engineer based in Los Angeles, Needham’s involvement with Love Riot marks his first production collaboration with a Christian artist. 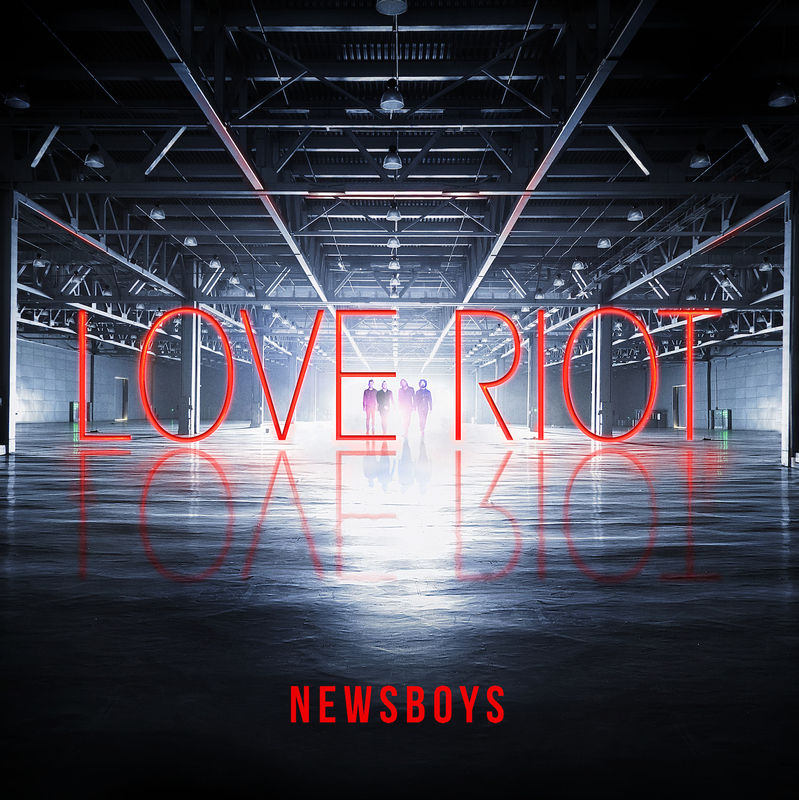 Love Riot is highlighted by the first single, “Guilty,” the theme song of Pure Flix’s upcoming motion picture “God’s Not Dead 2.” The album also showcases the title-cut, a call to reach the world with love; the worshipful “Hero”; and the adrenaline-pumping “Crazy,” an anthem inspiring believers to live radically for Christ, among other songs. Newsboys are currently performing selections from Love Riot as headliners of the multi-artist 2016 Rock & Worship Roadshow. The band will also hit the road later this spring for the final leg of their blockbuster “We Believe…God’s Not Dead” Tour. Sponsored by Feed the Children and IF 7:14, the tour will feature GRAMMY®-winning FairTrade Services recording artist Audio Adrenaline; Dove-nominated Curb recording artist OBB; and GRAMMY®-nominated Gotee singer/songwriter Ryan Stevenson. In addition, Newsboys will appear on the silver screen in April’s “God’s Not Dead 2,” reprising their role from Pure Flix’s 2014 hit “God’s Not Dead.” The original box office hit was inspired by the band’s chart-topping, Platinum®-certified single of the same name. Helping define the sound of Christian music for more than two decades, Newsboys’ high-energy live performances and string of mega-hit singles, including “We Believe,” “God’s Not Dead” and “Born Again,” continue to make the band one of the genre’s most iconic artists. Comprised of lead vocalist Michael Tait, Jody Davis (guitar), Jeff Frankenstein (keys) and Duncan Phillips (drums), Newsboys have sold more than 8 million units, amassing eight Gold® certifications, one Platinum® certification, 33 #1 radio hits, four GRAMMY® nominations, two American Music Award nominations and multiple Dove Awards.